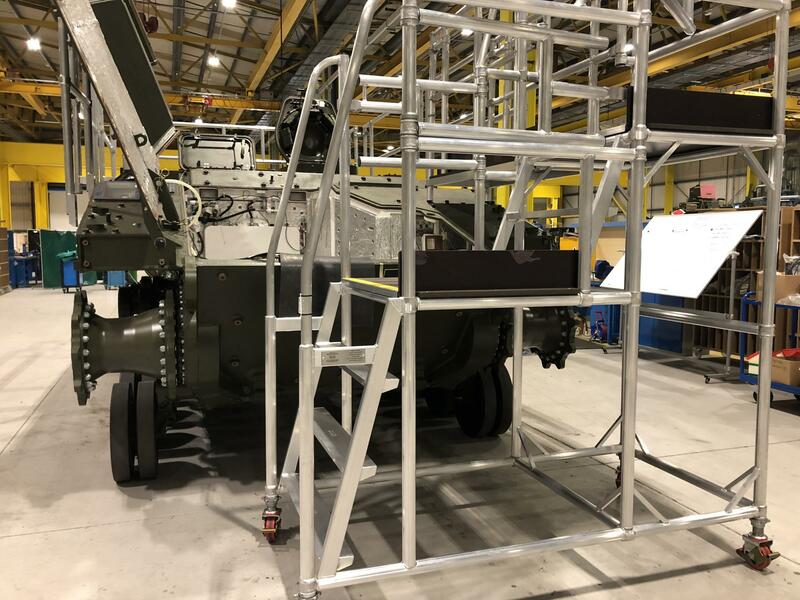 Once again our business has another feather to put in our cap, with the completion of a huge order for access platforms and edge protection to aid the building of an all new tank for the British Army. In all its variations, not only the hull build and final assembly, but also for the turret, with each being manufactured in two different locations in the UK, and by two different global players in defence, and by pure coincidence we won the orders from both corporations. Our business is now working with the Royal Navy, Royal Airforce, and Army, under the MOD umbrella of preferred suppliers.